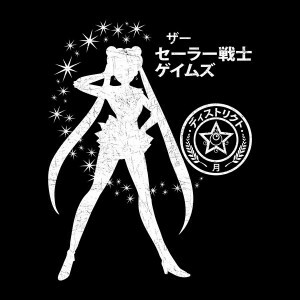 Here’s a shirt which crosses Sailor Moon and The Hunger Games which is for sale for the next week, January 29th to February 4th, at Zebra Tees for just $9. 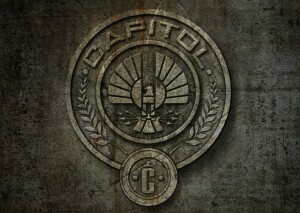 I’m not terribly well versed in The Hunger Games but it seems that the logo resembles a District Seal. It has “District” written in Japanese Katakana on it and the Kanji symbol for “Moon” is at the bottom where the number of the District would usually appear. The writing above the seal says “The Sailor Senshi Games”. 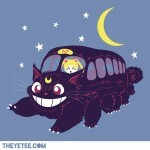 The shirt is by Machmigo who also made the Lunar Express shirt which sold at ShirtPunch. 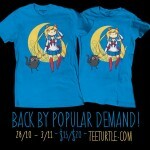 This shirt and the rest in the series are available in her RedBubble store. 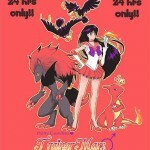 In addition to Sailor Moon she also has Sailor Mercury, Sailor Mars, Sailor Jupiter and Sailor Venus for sale. 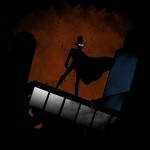 Also check out her Facebook Page, Twitter Feed, tumblr or deviantArt page for more of her work. 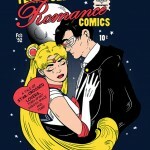 This entry was posted in Merchandise and tagged Sailor Moon, T-Shirts, The Hunger Games, Zebra Tees by Adam. Bookmark the permalink.